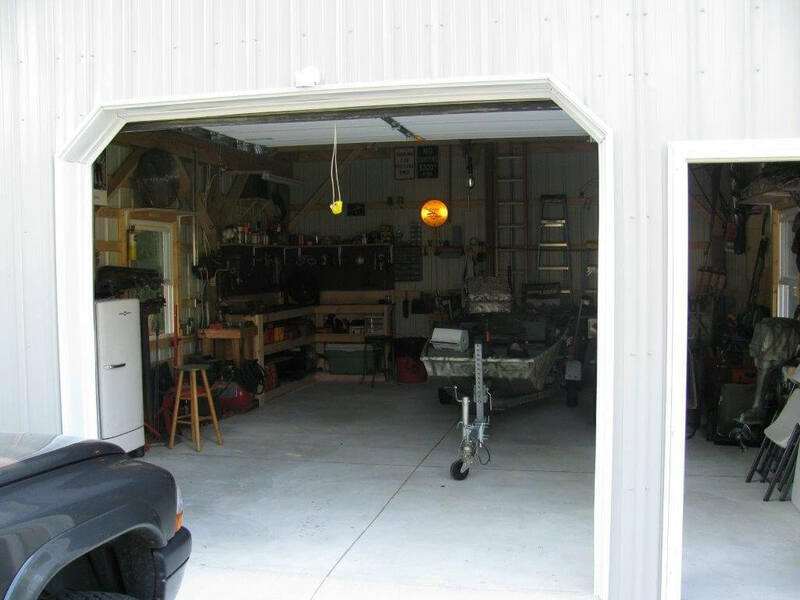 This customer was in need of a small garage to use for boat storage with a little bit of room left over to utilize as a workshop. The design order was for nothing too big but just big enough. Ironically, we knew exactly what he was talking about. It's the out building that many men want, just enough room for my things. 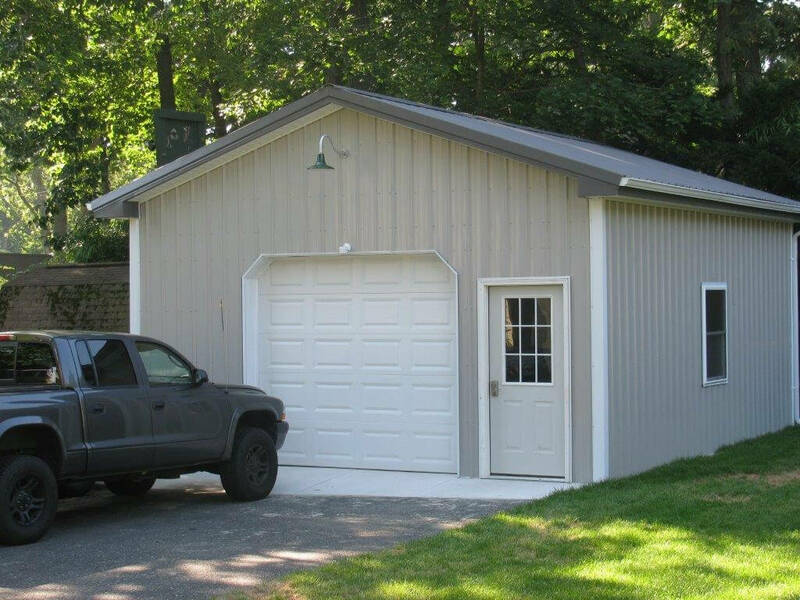 We settled on a single 9x8 Clopay dutch cornered garage door. Dutch Cornered is the common trade name for the angles seen in the upper right and side corners. Basing the building on a 20 x 24 space left adequate enough room to back his boat in and out without having to worry much about scraping this sides or hitting anything. It also leaves plenty of room to work on the boat or anything else that could use a little fixing. The structure features Ash Gray color siding and a Charcoal color roof manufactured by Endura Metal. Endura is our own line of in-house fabricated metal roofing and siding. The addition of a little white trim made this building stand out just enough to fit perfect for this customer's liking. The garage is finished off with 1 foot overhangs all around for ventilation, which aides the airflow from the 3x4 windows.